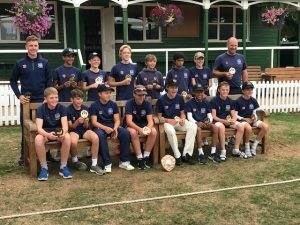 The Gloucestershire Under 13 boys finished their season on a high by winning the Taunton Festival. 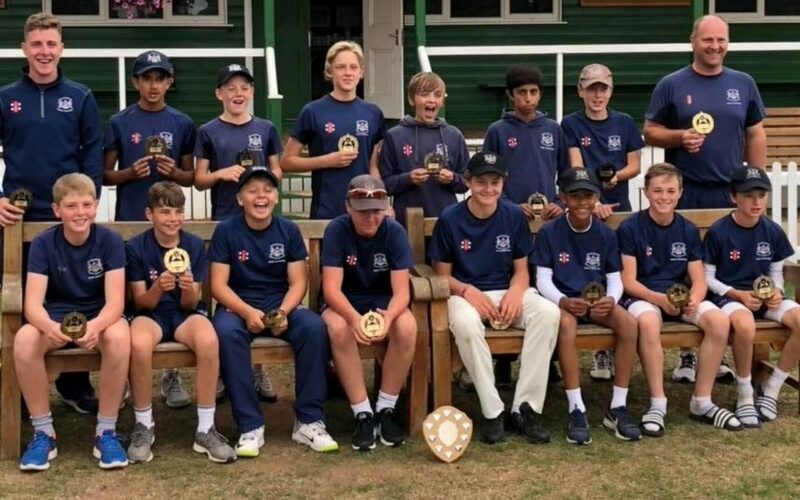 After three days of tough cricket Glos won the four-team festival by just a single point – emulating this year’s Under 14s by winning back-to-back titles. Their first match was against Northumberland who started well through openers Darwood (45) and Edwards (41) who put on a partnership of 95. But two wickets in two balls for legspinner Will Maxwell (3-25) (Winterbourne) changed the momentum of the innings. He was well supported by Jack Alway (Hanham) and Solomon Dark (2-35) (Winterbourne) as Glos restricted Northumberland to 205-7 from their 50 overs. 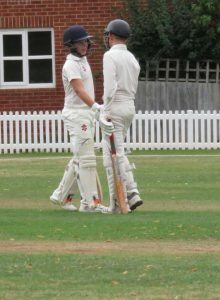 In reply, openers Tommy Boorman (83*) (Dumbleton) and Ollie McConkey (56) (Reading) (pictured) got on top of the bowling and put on 110 for the first wicket. When McConkey fell Sam Brooks (Bristol YMCA) (39) kept the runs flowing and helped his side reach their target with more than 20 overs to go. On day two Gloucestershire produced a fantastic bowling and fielding display to bowl a strong Oxfordshire team out for just 120. Wickets were shared around with Isaac Tagg (3-19) (Dumbleton), Jack Studley (2-18) (Winterbourne) and Maxwell (2-6) the pick of the bowlers. In reply, Glos looked well set for victory at 70-3 before losing seven wickets in eight overs to collapse to 94 all out. Going into the final day, Glos knew they needed to keep Suffolk down to a low score and knock them off for very few wickets to have a chance of winning the tournament. Studley lead the way with a very tight opening spell off 1-11 off nine overs. He was ably backed up by spinners Taylor Ireland (4-27) (Frocester) and Will Maxwell (3-32) as Suffolk were restricted to 156-9 from their 45 overs. The batsmen then took over and played responsibly to knock off the runs for the loss of just four wickets. Boorman (37), Ahmed Syed (36*) (Thornbury) and Ollie McConkey (32) were the key contributors as Gloucestershire pipped their opponents to the title by a single point. The festival win concluded the U13 season, leaving them with a final record of played 13, won nine and lost four.